Researchers found that around 4 percent of Ashkenazi Jewish women without three well-known mutations in their BRCA1 and BRCA2 genes have other mutations that may increase their risk for breast cancer. They promise to reveal everything from our ancestry to our chances of serious illness. But are DNA tests accurate and do they tell us anything worthwhile? While most patients did not have a hair colour change, the 14 cases suggest it is not an isolated finding. In 13 patients, hair turned darkish brown or black; in one patient, it turned black in patches. Solid tumors are less amenable to treatment with these altered cells — which scientists call CAR-T cells — but studies at various centers are trying to find ways to use it against mesothelioma and cancers of the ovary, breast, prostate, pancreas and lung. Study provides rationale for adding COX-2 inhibitors to improve anti-PD1 immunotherapy response. Bavencio, known chemically as avelumab, belongs to a class of drugs called PD-L1 or PD-1 inhibitors that help the immune system to attack cancer by blocking a mechanism tumors use to evade detection. Detailed study results are expected to be presented at an upcoming medical meeting. Bayer touted its experimental cancer drug anetumab ravtansine as a $2 billion-plus peak earner in the making for the pharma company. And it just flopped in its first mid-stage study — this one focused on rare cases of mesothelioma. "Malignant pleural mesothelioma is a very difficult-to-treat tumor, and we had hoped for a better outcome for patients." “Together, we are poised to achieve something remarkable and that few thought possible," he wrote. "Nothing can break the momentum you have established, and certainly not rumors." In its negative opinion for Onzeald, EMA said the benefit of the drug was not sufficiently proven, due to data from a subgroup analysis not being supported by additional studies. Eleven medicines recommended for approval, including five orphans. 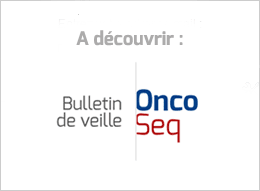 In this study, Onzeald was compared with standard cancer medicines chosen by the treating doctor, and the main measure of effectiveness was overall survival (how long the patients lived). The CHMP has voted thumbs down on Onzeald, which is also bad news for Daiichi Sankyo, which bet $20 million upfront on a regional licensing pact for the drug. The European Medicines Agency (EMA) said its committee of experts refused authorization to market the investigational drug, Onzeald, as a first-line treatment for adults with advanced breast cancer who have already received other treatment. Pivotal GALLIUM study demonstrated that Gazyvaro-based treatment helped people with previously untreated follicular lymphoma live significantly longer without disease progression compared to MabThera-based treatment. If approved, Rydapt would represent the first targeted treatment for newly diagnosed FLT3-mutated AML in the EU. The Roche cancer immunotherapy research and development programme comprises more than 20 investigational candidates, 12 of which are in clinical trials and target all three tumour phenotypes (profiles). The Committee for Medicinal Products for Human Use (CHMP) adopted a positive opinion, recommending the granting of a marketing authorisation for the medicinal product Bavencio, intended for the treatment of metastatic Merkel cell carcinoma. Tecentriq, which Roche has designed to help the immune system find and kill tumors that otherwise may avoid detection, won approval in the United States this year as an initial treatment for bladder cancer. It has also been approved as a treatment for lung cancer. Rydapt, whose U.S. wholesale cost is nearly $7,500 for a two-week supply, was approved by the U.S. Food and Drug Administration in April. The French biotech company has described the new drug as a "multi-hundred million" dollar opportunity, with the potential to transform its fortunes. The two diseases, while very different in many ways, have some key crossover points when it comes to developing new treatments, specialists say - most notably the immune system, its crucial T-cells, and its ability to fight-off invaders. Although we are growing increasingly confident that Congress will reject outright the president’s FY 2018 budget proposal for the NIH, the medical research community is also facing a complicated and worrisome challenge in the form of the spending caps that are currently in place for FY 2018. Richard Klausner is Chair of the Grand Challenge advisory panel, former executive director, Global Health Program at the Bill & Melinda Gates Foundation, and former NCI director. The challenge, now in its second phase, plans to give out several £20 million awards over five years to researchers who would be willing to address one of eight challenge areas. Scientists close to the agency tell ScienceInsider that the resignation came amidst escalating tensions between Maltosz and scientists charged with evaluating grant applications.